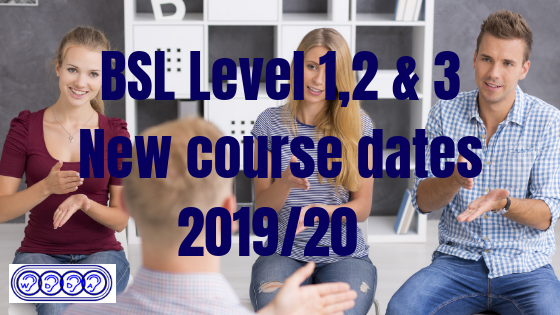 We are pleased to announce that we are now accepting applications for British Sign Language (BSL) Level 1,2 & 3 courses starting in September/October 2019. 15 October 2019 (32 weeks) BSL Level 1 enrolment form	(32 downloads) . 25 September 2019 (36 weeks) BSL Level 2 enrolment form	(9 downloads) . 12 September 2019 (38 weeks) BSL Level 3 enrolment form	(8 downloads) . « Junior Sign Choir launching on 9 March!